This week we are bringing you a special edition of the Hank Unplugged podcast featuring some of our favorite conversations that took place on the podcast in 2017. 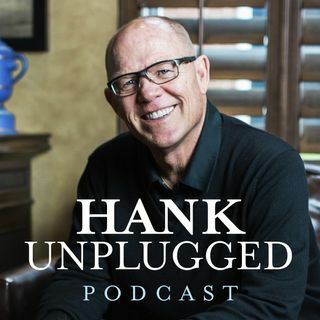 Whether you’ve heard them all or are just getting started, we assure you that this special edition of the Hank Unplugged podcast will be edifying for everyone. Topics discussed include: Mary Eberstadt discussing a new secularist religion of our time and issues we’re facing due to the sexual revolution (1:00); Joe Dallas ... See More discussing the rising acceptance of gender fluidity today (14:50); Frank Beckwith discussing the watershed issue of our time: abortion (29:00); Clay Jones discussing the question of “Why does God allow evil?” (40:25); a conversation with Nathan Jacobs, director of the film Becoming Truly Human (56:10); Chris Wilde discussing the crucial conversation between Hank and their mutual friend Elijah that eventually led to CRI adapting the moniker of the ministry from Because Truth Matters to Because Life and Truth Matter (1:14:00); Donald Fairbairn discussing his book Life in the Trinity and how we as Christians can find true union with God (1:21:00).